After hours of research and discussions with sleep experts — plus several months of hands-on testing — we recommend the HOFISH – Gel Infused Memory Foam as the best mattress topper. The HOFISH proved to be the most comfortable to sleep on, with three inches of gel-infused memory foam to cushion joints while staying cool and providing good spinal support. For a luxury upgrade, the Organic Textiles – Organic Latex Topper is your best option. To narrow down our list of contenders, we researched the different types of mattress toppers and delved into which features would be the most important to consider when choosing a mattress topper. Then we conferred with industry experts about how a mattress topper can aid sleep. Once we had a good understanding of the market and what to look for, we narrowed down our finalists to those that were highly praised by online reviewers. We considered several types of mattress toppers: gel-infused memory foam, latex and feather fill (down alternative). We steered away from down feather and wool mattress toppers due to low consumer interest. Plus, while true feather allergies are rare, they do exist. This was another reason to skip testing down altogether. 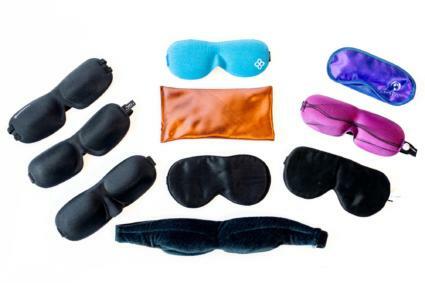 We spoke with Bill Fish, co-founder of Tuck.com and a certified sleep science coach. An entrepreneur for over 15 years, Bill became fascinated with the health aspects of sleep in 2014. Bill has designed and constructed mattresses for sale online, and in doing so, he has gained an understanding of the needs of consumers from the viewpoint of both seller and buyer. Brian holds a master’s degree in Physical Therapy from Rockhurst University and has 12 years of professional experience as a physical therapist. In addition to owning his own practice, Brian has taught at Point Loma Nazarene University in the Masters of Kinesiology program. It’s important to note that if your mattress has become unsupportive, meaning that your spine is not in proper alignment while you sleep, you would be better off spending your money on a new mattress rather than trying to improve an old one with a mattress topper. The National Sleep Foundation recommends replacing your mattress every seven to 10 years. Another instance where a mattress topper can benefit you is in adjusting the comfort of a new mattress. Research shows that it is difficult to predict your optimal mattress from a “test drive” in a showroom. If you bought a mattress that is too firm, for instance, a mattress topper can cushion your joints and help you sleep better. While the terms mattress topper and mattress pad are sometimes used interchangeably by consumers and retailers, there are important differences between the two. Mattress pads keep contaminants such as dust mites and bacteria off your sleep surface. They protect your mattress rather than enhance your comfort level while sleeping. On the other hand, a mattress topper can provide additional support and improve the softness and comfort of a mattress. Toppers do little to inhibit contaminants or provide protection against stains. There is no one-size-fits-all answer when it comes to choosing a mattress topper to alleviate back pain. However, most individuals benefit from maintaining a neutral spine (or as close to this as possible) during sleep. An appropriate mattress topper makes sleeping in proper positions easier and more comfortable. Your sleeping surface and a correct posture should alleviate pressure at the hips, shoulders and other bony areas. This results in less stress on the back, less pain and a more restful night’s sleep. Ashley Little from Mattress Advisor summarizes, “Medium-firm to firm memory foam material toppers are the best for preventing back pain — specifically memory foam because of its ability to evenly distribute your body weight.” Latex also conforms closely to the sleeper’s body, which can strike the right balance between improved spinal alignment and pressure relief. The right mix of firm support and comfortable feel will be determined by your own personal preferences. Lying on your back (supine position): This position is often recommended because your weight is distributed throughout the largest possible surface area. This prevents areas of increased pressure and helps maintain a neutral spine (with a few modifications). Too soft of a mattress can be detrimental in the supine sleeper as the pelvis may roll backward. This causes a flattening of the lumbar curve and forces more pressure across the anterior portion of the intervertebral discs. A firm to medium-firm mattress topper and a pillow placed under the knees helps maintain a neutral spine. Lying on your stomach (prone position): This position is generally considered to be hard on both the low back and the neck. Both may be overarched, while the neck is also rotated or twisted to one side. These issues can be minimized with effective positioning. A pillow placed under the hips helps alleviate stress on the low back while sleeping without a pillow at the head/neck reduces extension there. Lying on your side: Lying in this position can be great for many people, but often takes some adjustments in order to properly align the spine. A few extra pillows often solve this problem. A pillow between the legs allows one leg to rest on top of the other without tilting the hips, rotating the spine or causing discomfort as the knees rest on one another. A second pillow hugged at the chest prevents rolling forward. Together these adjustments help prevent spinal rotation and allow for a more neutral spine position with less stress throughout the back. Firmness: In the mattress industry, firmness is measured by Indentation Load Deflection (ILD). The ILD is measured by compressing a foam sample to 25 percent of its original height. The amount of force (in pounds) required to indent the foam is its 25-percent ILD measurement. The more force required, the firmer the foam. A mattress topper having an ILD of 12 would be very soft, while an ILD of 50 would be very firm. Density: The quality of density is a verifiable, scientific measurement. It is a measurement of the mass per unit volume. A soft latex has a density of two pounds, while a very firm latex would measure at six pounds. A softer density can give you pressure relief and help ease joint stiffness, while a firmer density helps give stable support for the spine. Read on for a quick rundown of the main densities in memory foam, according to Kalinski, to help you make a better purchase decision. 3 pounds per cubic feet or less: Your body will sink into the topper a little more than it would with higher-density memory foam. This density is recommended for anyone under 200 pounds. It offers enough support and comfort for most people and is one of the most common densities. 4 to 5 pounds per cubic feet: This density is a good balance between soft and supportive. It will mold to your body a little more slowly than lower densities. But, it’s perfect for people who are over 200 pounds, and it’s also great for couples. 6 pounds per cubic feet or more: Most people won’t require this level of firmness unless they have medical needs. This is a rarer and more expensive foam, with a density so firm that it is often used as a base in mattresses. Recovery time: The most famous feature of memory foam, one that earned it its moniker, is its ability to mold to the shape of your body and then return to its original shape. Some foams bounce back more quickly than others. The pressure and weight applied by your body will leave an indentation in a memory foam mattress topper — how long it takes to bounce back varies from seconds to minutes. When you move into a new position (the average person changes sleeping positions a dozen times per night), you don’t want to be left unsupported by a deep indentation. A thicker high-density topper will take longer to bounce back. In our testing, the memory foam toppers with a faster recovery were springier and more comfortable to sleep on. Cooling: Latex mattress toppers tend to run cooler than memory foam, although gel-infused mattresses have greater air flow and a cooling component. Down alternative toppers have a tendency to run hot. Motion isolation: Memory foam and latex tend to absorb motion and isolate it to certain areas of the mattress, which could be important if you have a partner that tosses and turns during the night. Conversely, feather fill mattress toppers do not offer this benefit to any noticeable degree. Durability: With some mattress toppers costing upwards of $100, it should be expected that your topper will have a long life span. Latex and memory foam toppers tend to be more durable, while down alternative toppers have a shorter lifespan. Machine washable: Mattress toppers are rarely machine washable, and spot cleaning may put unnecessary wear and tear on them. 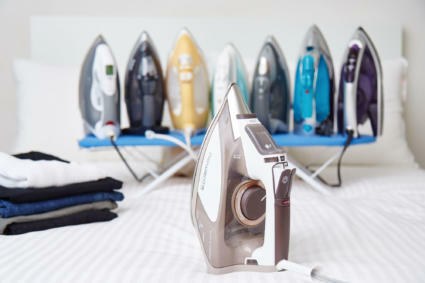 Toppers with machine washable covers can make your investment last longer, which is especially important if you’re purchasing an expensive topper. Green certifications: Assurance that your mattress topper is free from harmful chemicals can help you sleep better at night. The Global Organic Textile Standard (GOTS) is the worldwide leading textile processing standard for organic fibers and you can be confident that any GOTS-certified products meet their rigorous standards. Similarly, the Global Organic Latex Standard (GOLS) is highly regarded in the sleep industry. A product must contain more than 95-percent certified organic raw material to achieve GOLS certification. You can limit your exposure to chemicals by finding one containing foam certified by CertiPUR-US, which independently tests and verifies which foams are made without harmful chemicals. E-commerce manager Drew Kalinski and sleep specialist Bill Tuck gave us insight into the pros and cons of the various types of mattress toppers we tested. Memory foam is one of the most popular materials for both mattresses and mattress toppers these days. A high-end memory foam mattress can be very expensive, so a topper is a good way to get the benefits of memory foam without breaking the bank. Memory foam conforms to your body, giving support and comfort. It’s supportive if you have joint, muscular or back pain. It reduces how much the noise and movement of a restless partner disturb your sleep. It comes in a range of densities. Durable memory foam can last for years (depending on the quality of the foam). It can have a strong chemical smell, but this should dissipate after a few days. It can hold heat, so make sure to find one that is open cell or has a cooling feature (such as gel-infused memory foam). Latex mattress toppers are generally the most expensive option but they provide excellent support and comfort. Latex is made from the rubber tree (hevea brasiliensis). The sap is collected and processed into latex, using one of two different processes: Dunlop or Talalay. Dunlop latex: The normal measurement for Dunlop latex is density and it is a firmer foam. Dunlop latex can be either natural or synthetic. Talalay latex: The normal unit for measuring Talalay latex is ILD and it is a softer foam. To achieve this, the latex is blended with synthetics and air is added. There is no such thing as 100-percent natural Talalay. It provides comfort and pain relief by making your sleep surface firmer or softer. Latex is springier, bouncier and firmer than memory foam. It is antimicrobial and hypoallergenic unless you have a latex allergy. It is excellent at preventing motion transfer. Latex tends to be more expensive than other mattress toppers. It is not recommended for anyone with a latex allergy; prolonged exposure to latex can lead to the development of a latex allergy. The amount of latex exposure needed to produce sensitization or an allergic reaction is unknown. Exposure to synthetic latex does not cause the symptoms of latex allergy. It can get hot, especially in the summer. A down alternative topper is a good option for those who put a strong emphasis on value, as it can improve the comfort of most sleep surfaces at a lower price point than most memory foam or latex mattress toppers. Down alternative toppers also have no or minimal odor, even when first unboxed, so they’re a great choice for those sensitive to smell. Down alternative tends to be the most affordable option. It is hypoallergenic and generally will not cause allergies to flare up. It can provide decent to good support and pressure relief. Down alternative toppers often weigh less than latex or memory foam toppers, so they are easier to move. Below-average durability: it can become flat or misshapen after only a short time. If you share a mattress, the poor motion isolation could be an issue. Typically, down alternative toppers run hotter than latex or memory foam. Down alternative toppers have limited thickness and are generally limited to two inches or less. We put our finalists through a range of tests, both quantitative and qualitative, do determine the standout winners. We tested our memory foam toppers for recovery time to see how well they absorb compression forces and therefore aid with pressure relief. To determine how long each topper took to return to its original shape after being weighed down, we set a five-pound dumbbell in the middle of each mattress for an hour (similar to the amount of time between changing sleep positions). Then we removed the weight and used a stopwatch to determine the number of seconds or minutes it took to return to the original shape. The HOFISH sprung back to shape in a matter of seconds, while the Linenspa took nearly a full minute. A difference of 35 seconds seems small, but the HOFISH was noticeably more comfortable to sleep on than the Linenspa and the numbers were in line with our overall opinion and ratings of these toppers. Since a good night’s sleep is a ringing endorsement of a mattress topper, we slept on each mattress topper for several consecutive nights. We used two testers: one under 160 pounds (at which point firmer support is recommended) and one over 160 pounds. This variation was helpful to rate the perceived firmness of each topper, as well as to evaluate the toppers for motion isolation. As the CEO and founder of Spine-health, Stephanie Burke, points out, “There is a difference between firm support and firm feel.” Looking at the density or ILD of a mattress topper can tell you how supportive it is, but not how firm it feels. Our two testers rated each topper on a scale of one to five, with five being the most firm. When evaluating, they considered whether the topper seemed to cushion joints or provide better spine support. 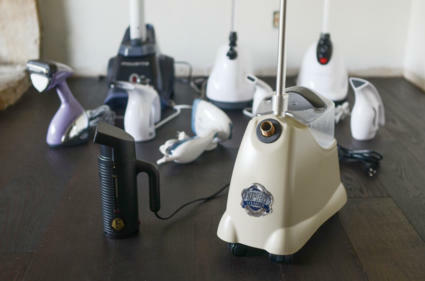 Despite weight differences, our testers agreed on the firmness and softness of our finalists. While we chose a medium-firm level for these two latex toppers, the Organic Textiles and Dreamfoam Bedding felt the most supportive of the toppers we tested. The HOFISH, Sleep On Latex and The Duck And Goose Co balance firmness and softness, although they may not have enough spine support for someone with back issues. If you’re looking for more joint cushioning, the ViscoSoft – 4-Inch Memory Foam or Cheer Collection – Luxury Down Alternative were rated softest. Our testers used a similar scale to rate each topper for temperature neutrality, judging whether each topper felt cool or retained heat. The Organic Textiles latex could heat up surprisingly quickly at night, so this is something to keep in mind if you tend to run hot or live in a warm climate. It was the most noticeably warm of the toppers we tested, alongside the Cheer Collection. Memory foam by itself tends to retain heat, but the gel-infused HOFISH and ViscoSoft were our coolest mattress toppers. If staying cool helps you sleep better, you may also want to add a cooling pillow to your sleeping sanctuary. Finally, our testers evaluated each topper on how much you can feel movement when a partner moves and whether their tossing and turning would keep you up at night. 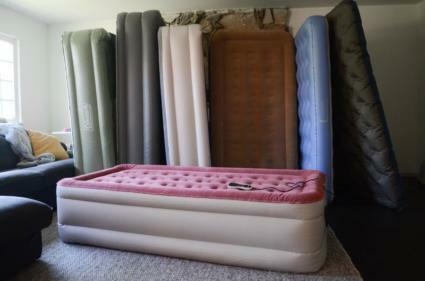 Once again, our memory foam toppers were the top contenders here, especially the HOFISH and Linenspa. The pillow top cover of the ViscoSoft lowered its rating and for similar reasons, the down alternative toppers were low on our list. Although perhaps less important than comfort and support, function and design are also important considerations when choosing a mattress topper. When testing our mattress toppers, we kept aesthetics and usability in mind as well. We evaluated our toppers for visual design, noting how they looked and fit after putting on a fitted sheet. We checked to see how well each topper fit on the bed (since toppers are slightly smaller than mattresses) and sat on the edge of the bed to check for edge support around the perimeter. While each of the toppers provided support for the full surface of the mattress, some of the more plush toppers such as the Sleep On Latex and ViscoSoft tended to be wobbly near the edge. We considered slippage, noting whether or not a topper slips from the mattress when tossing and turning. 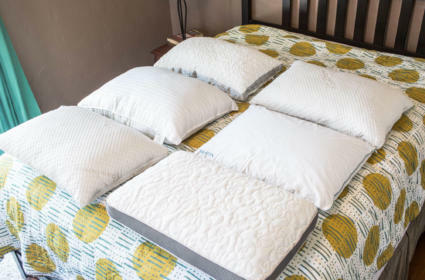 While a regular fitted sheet worked fine for the down alternative toppers, you may want to size up to a deep pocket fitted sheet for use with thicker memory foam or latex topper, especially the 4-inch ViscoSoft. The fitted sheet would ride up after a night’s sleep on each of our memory foam and latex toppers, despite seeming to fit well when not in use. While we didn’t conduct a durability test per se, the process of moving, testing and storing the toppers when not in use put some strain on them. The latex and down alternative toppers held up well, but the memory foam toppers suffered some rips and tears. Of the memory foam toppers, the HOFISH was the most durable. The Linenspa, being thinner than its counterparts, tore all the way through in areas and was relatively flimsy. Our experience is likely not indicative of normal wear and tear since our testing process stretched the toppers to their limits and typically people keep a mattress topper confined to one bed. 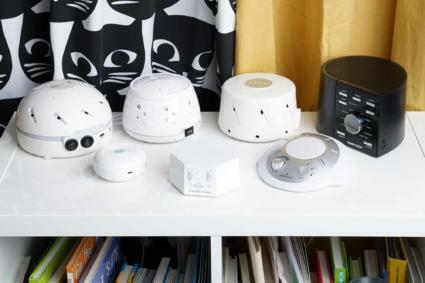 However, we verified through consumer reviews that the Linenspa does, in fact, tear easily. The HOFISH has a springy feel, and provides the bounce of latex with the coolness of a gel-infused memory foam. If you share a bed, the HOFISH’s ability to absorb and isolate motion will make it a great choice for you. 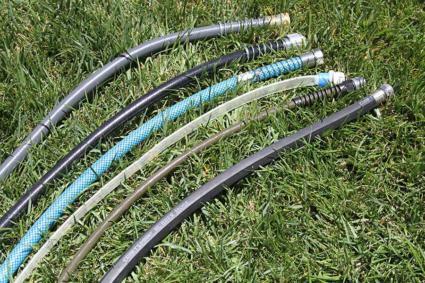 What is off-gassing and do you need to worry about it? Off-gassing is a reaction caused when volatile organic compounds (VOCs) in a memory foam topper break apart and commonly form gases. The majority of VOCs are released in the first hour (after opening the box) but can continue to release for an unknown period of time. Some people are sensitive to VOCs and can experience irritation of the eyes, nose or throat. No studies show long-term effects of using memory foam, but this may be because tracking its long-term effects is virtually impossible. 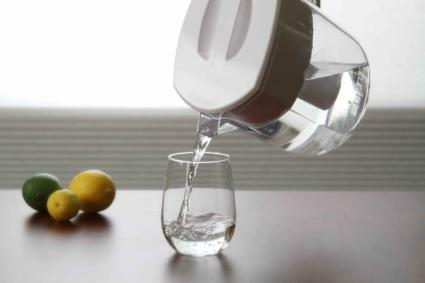 Heather Stapleton, an environmental chemist at Duke University, says there’s simply not enough data to determine whether low levels of these chemicals will eventually make people sick. If you’re concerned, organic latex may be a better option for you. While some in the industry recommend unboxing a mattress or topper outside and letting it breathe for at least two days, we didn’t want to expose our toppers to the elements, so we kept them in a well-ventilated room next to a window. Since off-gassing can be particularly unpleasant, we rated our toppers for odor straight out of the package. Immediately after unpackaging, we used a scale of one to five (five being the most unpleasant odor) to see which toppers may not be good for those sensitive to smell. We let each topper air out for 48 hours and then rated them a second time. The good news is that any lingering smell dissipated within a week for all the memory foam toppers we tested, and the HOFISH and ViscoSoft were not overly pungent even fresh from the package. We liked the HOFISH – Gel Infused Memory Foam for being a topper that is best for a couple since its medium-firm support and the right amount of cushion offers a comfortable middle ground for most people. The feature we liked most about the HOFISH was its springiness, which made it feel more like latex than memory foam. However, it is gel-infused so it doesn’t run hot the way latex and typical memory foam does. It’s also excellent at motion isolation, meaning you won’t wake up every time your partner rolls over. 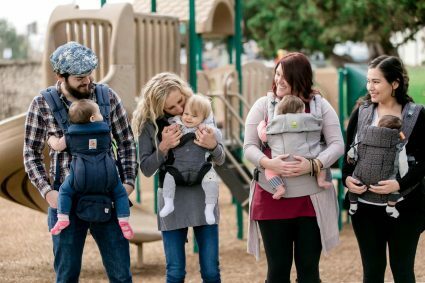 It’s especially a good choice for couples because of its ability to absorb motion and because it strikes the right balance between soft and supportive. That said, it may not work if either one of the pair has back pain or is a back/stomach sleeper. It is a low-density foam, meaning it is more soft than supportive. While we felt it had a good balance for most people, side sleepers may appreciate this topper more than others. The topper arrives compressed in a box so it looks thin and uneven when you first remove the shrink wrap plastic. Don’t let the first impressions fool you: it was in its full shape after a few hours. The topper is environmentally safe and CertiPUR-US certified, so there are no dangerous chemicals and fewer worries about off-gassing. This was notable when we first opened the package, as it had less odor than other memory foam finalists. The smell also seemed to dissipate more quickly. At 15 pounds, it is a medium weight compared to our other memory foam toppers and easy for one person to position on the bed. The foam has a slightly sticky feeling so it didn’t shift on the bed, but did need a fitted sheet in order to feel comfortable. An ideal choice for couples and side sleepers, the HOFISH is a springy and soft topper with more durability than other memory foam options. The price point will please most consumers, as will the fact that the foam is certified to be free of harmful VOCs. It lined up well with our queen size bed and it was easy to fit with a sheet. However, the fitted sheet rolled off our mattress and fitted onto the topper itself after a night’s sleep. It isn’t an issue for sleep, but isn’t as aesthetically pleasing. Both our testers commented on the coolness and motion isolation of this topper, which are its best features after the obvious benefit of adding softness to a current mattress. After several months of testing, it held up better than our other memory foam finalists, but it still had the drawback of small tears (mostly caused by transportation). The HOFISH – Gel Infused Memory Foam is great for side sleepers, as it responds to the shape of your body and takes the pressure off your hips and shoulders. The memory foam is infused with gel and its open cell construction makes it more breathable, so it is great for hot sleepers or those in warm climates. All the foam in the topper is CertiPUR-US certified, so you can worry less about emissions and more about getting a great night of sleep. At less than$100 (upon publishing), it has great value and held up better to testing than our other memory foam finalists. If you need a more supportive surface, we recommend the Organic Textiles – Organic Latex Topper. 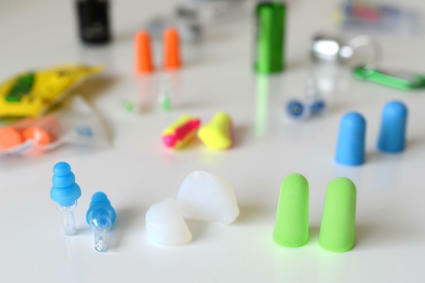 It has firmer support than the majority of toppers we tested, and just enough cushion. The Organic Textiles is excellent for those with back pain, as it is firm enough to assist in achieving a neutral spine while providing enough cushion for the tailbone and shoulders. The latex is made with the Dunlop process, so it is dense, durable and able to retain its elasticity. The Organic Textiles is Global Organic Latex Standard certified and is free from harmful chemicals and fillers. It has a higher-than-average price point, but it wasn’t the most expensive latex topper we tested. Due to the longevity of latex and the quality of the product, we felt it was worth the price. In our months of testing, the Organic Textiles held up well to multiple nights of use and storage/transportation. This is partly thanks to the cover, which kept it clean and made it easier to move and position. At 34 pounds, the topper isn’t easy to move around but we were still able to unbox and position it without a second pair of hands. Like our memory foam finalist, it arrived vacuum sealed in plastic within a box. The Organic Textiles took on its correct shape almost immediately. It was amazing to watch it fill out in a matter of minutes, without leaving behind any ripples or wrinkles. After we placed it on the bed, it lay flat against the mattress with no gaps. The square edges met up perfectly with our queen size bed, so once we fitted it with a sheet, it had a uniform look. The sheet didn’t stay overnight, but rolled up under the topper, as it did with our other latex and memory foam finalists. The cover has an embossed flower pattern, and while it didn’t show through our fitted sheet, one tester mentioned that it feels almost quilted. If you want a topper that leans more to the supportive side and don’t mind that it runs hot, this topper is for you. It strikes the right balance between soft and supportive, with more spine support than other finalists. As a dense topper, it does tend to heat up while sleeping despite a porous surface designed for more air flow. If you run hot, this may not be the best choice for you. Our testers noted that on warm nights, it could get a bit sweaty in the middle of the night and the buttery smell of the latex is stronger. The mattress topper we tested is medium-density, with an ILD of 26-28. You can also tailor your topper by choosing soft (22-24 ILD) or firm (38-40 ILD) when you order through the company’s website. When you purchase through Amazon, it comes with a removable organic cotton cover, which is machine washable in cold water. On the company website, the toppers cost an additional $99.00. Dunlop latex makes the Organic Textiles – Organic Latex Topper a dense and firm topper, so it is excellent for those with back pain who need to maintain a neutral spine. It provides just enough cushion for joints, but it may be too firm for a side sleeper. It is GOLS-certified, so it is free from chemical additives and made from all-natural components. As a dense and durable topper with a washable organic cotton cover, this topper should have enough longevity to justify the higher price point. While The Duck And Goose Co – Down Alternative (and fiber toppers in general) doesn’t offer as much support as foam or latex toppers, it also does not sink too deeply or conform too closely. This makes it ideal for sleepers of any position, and also for couples who may have different weights and needs. While it can accommodate back, stomach and side sleepers, it is better for adding softness to a too-firm mattress than adding additional support. Of the down alternative toppers we tested, The Duck And Goose Co was the plushest, temperature-neutral and comfortable. It is filled with 1400 GSM (grams per square meter) microfiber. A higher GSM (above 600) means the filling is denser, making the topper thicker, fluffier and more comfortable. It arrived in a plastic storage bag, similar to a comforter, and is lightweight and easy to position. Anchor bands help it stay in place and it didn’t move around on us during testing. Because it is lightweight and the bag is so convenient, we were able to remove it each morning and store it in the bag during the day. This kind of flexibility and ease of use was unique to The Duck and Goose Co topper. The Duck And Goose Co adds softness to your bed, without causing you to sink into the topper. Since sleepers of any position will find this topper comfortable, it is a great option for couples with different sleeping positions. It has a baffle box construction, so the fill doesn’t shift and become lumpy during use or after it’s washed. Unlike its competitors that we tested, the boxes aren’t bulbous but rather filled uniformly. This gave it a thicker construction and more support overall than other down alternative toppers. Due to the baffle box construction and round edges, it doesn’t look as uniform when fitted with a sheet; it looks like you have a pillow top on your mattress. On the other hand, the same reasons mean that our fitted sheet stayed in place after a night of sleep, unlike the memory foam and latex finalists. As a down alternative topper, The Duck And Goose Co is hypoallergenic and acts as a barrier against dust and mites. While these toppers tend to sleep hot, the channel-weave construction of The Duck and Goose Co makes it breathable and therefore cooler than its counterparts. While machine washing a down alternative topper can sometimes cause it to wear out early, The Duck And Goose Co is backed by a ten-year warranty — you can clean it to your heart’s content (which helps keep it hygienic). The Duck And Goose Co – Down Alternative offers more softness than support, but can still be used by back and stomach sleepers as it doesn’t conform too closely. With a heavyweight of fill, this topper is more dense, plush and comfortable than other down alternative toppers. While similar toppers can heat up quickly, The Duck And Goose Co is breathable and temperature-neutral. It is easy to care for and covered by a ten-year warranty, so you don’t have to worry about it breaking down in the washing machine. We strongly considered naming the ViscoSoft – 4-Inch Memory Foam as our luxury upgrade pick because it has so many nice features, but it offers very little in the way of support. The combination of low-density foam with a pillow top cover makes this topper sumptuously soft. If you’re a side sleeper and you’re looking to cushion your shoulders, hips and other joints, this would be a good option. Those who sleep on their backs or stomachs may want to steer away from the ViscoSoft. If softness is your aim, then you will appreciate the 300-thread count sateen cotton cover, fluffy down alternative filling and gel-infused memory foam. With four inches total of padding added to your mattress, your joints have never been more cushioned. 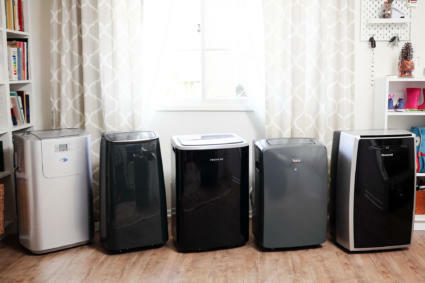 You can also sleep comfortably knowing the foam is CertiPUR-US and you don’t have to worry about off-gassing. The Sleep On Latex – Pure Green Natural Latex is another topper that is ideal for side sleepers since it cushions joints such as hips and shoulders that may otherwise feel too much pressure. It would likely not be a good choice for a back or stomach sleeper since you sink so deeply into the topper. 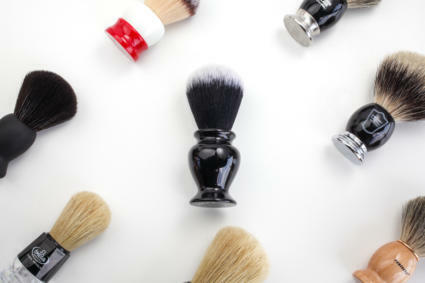 They do offer medium and firm versions of the product, although we didn’t test these. This is a very heavy topper, weighing in at 34 pounds, and the combination of holes and weight can make it difficult to maneuver. However, the holes added enough airflow to make this topper cooler at night than other latex toppers. It is made with the Dunlop process, meaning it is dense while still springy. This particular topper was bouncier than our other Dunlop latex topper and did not do a great job at absorbing and isolating movement. Overall, it offered a cloud-like sleeping experience that side sleepers would appreciate. The Dreamfoam Bedding – Ultimate Dreams Talalay is made with Talalay latex, which is distinguished by a lighter, more breathable and supple consistency. With a 28 ILD, it is softer and more cushiony than our top pick for latex, but still firm enough for back and stomach sleepers. While the feel of the topper is soft, supportive and accommodating to any sleep position, it pulled upward and away from the mattress at the edges. It also slid off the mattress after a few consecutive nights of sleep. For this reason, we decided not to name it our top pick. It comes with a machine washable cover, so while it is the most expensive topper we tested, your investment is protected against stains, wear and tear. The Cheer Collection – Luxury Down Alternative doesn’t offer much in the way of spine support, but it does provide softness without sinking too deeply. If you’re looking to cushion your joints and improve your bed without a large investment, the Cheer Collection is a good choice. If you have back pain and need a firm surface, you should probably look elsewhere. This topper is heavy and thick, so it doesn’t shift during the night. It has a baffle box construction so the filling doesn’t shift either, but they are almost overfilled so that it has a textured look and feels like small pillows sewn together. Those with joint pain would be best served by this topper. The Sertapedic – Superior Loft Down is a simple and cost-effective solution to make your mattress more supportive and comfortable. It is technically a mattress pad so it offers more protection against contaminants and stains than our other finalists, but it has more thickness than a typical mattress pad and therefore the feel of a pillow top. The Sertapedic is more cushiony than it is firm, so it would be better for a side sleeper. It doesn’t shift in the middle of the night and doesn’t run hot (which can be a problem for down alternative toppers), so if you’re looking for something basic and budget-friendly, the Sertapedic is a viable option. The Linenspa – 2-Inch Gel Memory Foam is a low-density foam, so it provides some support but is softer than would be preferable for a back or stomach sleeper. It had the longest recovery time of the memory foam mattresses we tested, meaning that it has very little bounce, but it was excellent at absorbing motion. Most of the queen size mattress toppers we tested measured 60 x 80 inches, but the Linenspa is slightly smaller all around at 59 x 79 inches. This gives it a little less support at the edges and meant that it didn’t line up as well as the other finalists on our mattress. Due to the fact that this topper had a stronger smell than our other finalists and suffered from large tears when moved, rolled and stored, we wouldn’t recommend it for most people. If your priorities are to purchase an inexpensive topper with more softness than support and you desire a gel-infused memory foam to keep you cool at night, the Linenspa would meet your needs. Choosing the best mattress topper really depends on the position in which you sleep, whether you share a bed and if you want to add softness or support to your mattress. The HOFISH – Gel Infused Memory Foam is a good option for side sleepers who share a bed. It has an excellent price point, making it available to most consumers. The HOFISH is best if you’re looking to add a cooling feature to your present mattress or to make it softer. If you sleep on your back or stomach, this memory foam probably won’t provide enough support. If you can afford a luxury upgrade or are a back/stomach sleeper looking for more support, we recommend the Organic Textiles – Organic Latex Topper. It does run hot at night, however, and may be more than you’re willing to spend to fix your current mattress. We also wouldn’t recommend it for side sleepers, since it doesn’t cushion the joints as much as other toppers. For those looking for a down alternative option, The Duck And Goose Co – Down Alternative is a quality topper that provides both softness and support. It offers a good middle ground to those seeking a topper that is soft but not overly so, and we love that it’s machine washable. Since it does go through the washing machine, this topper may not last as long as our other top picks. The low-density foam is springy and soft, but not so much that you sink into the topper. The HOFISH is a great choice for couples because it absorbs motion and keeps it isolated to one side of the bed.